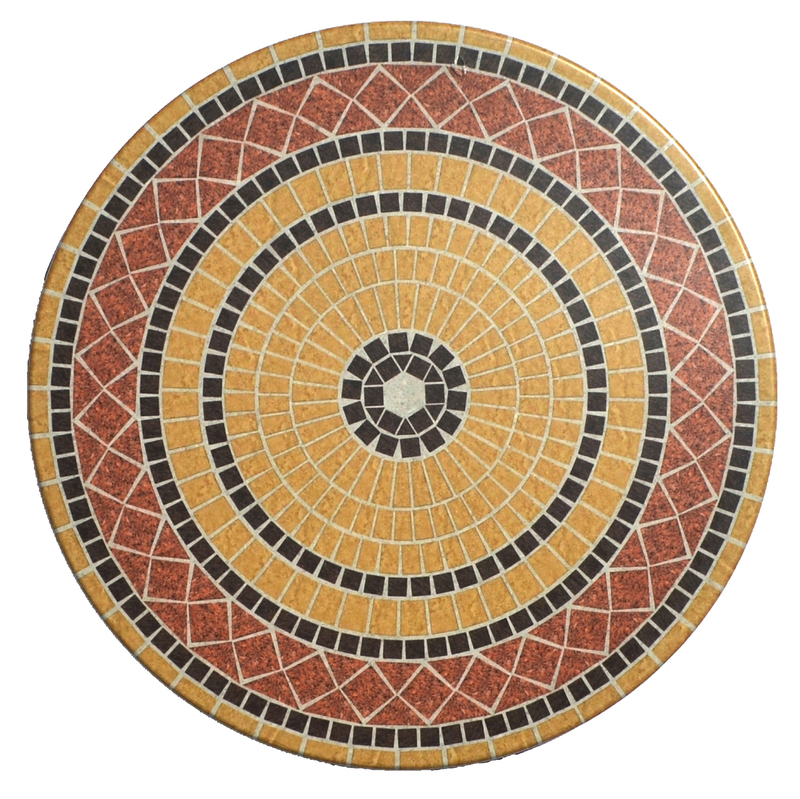 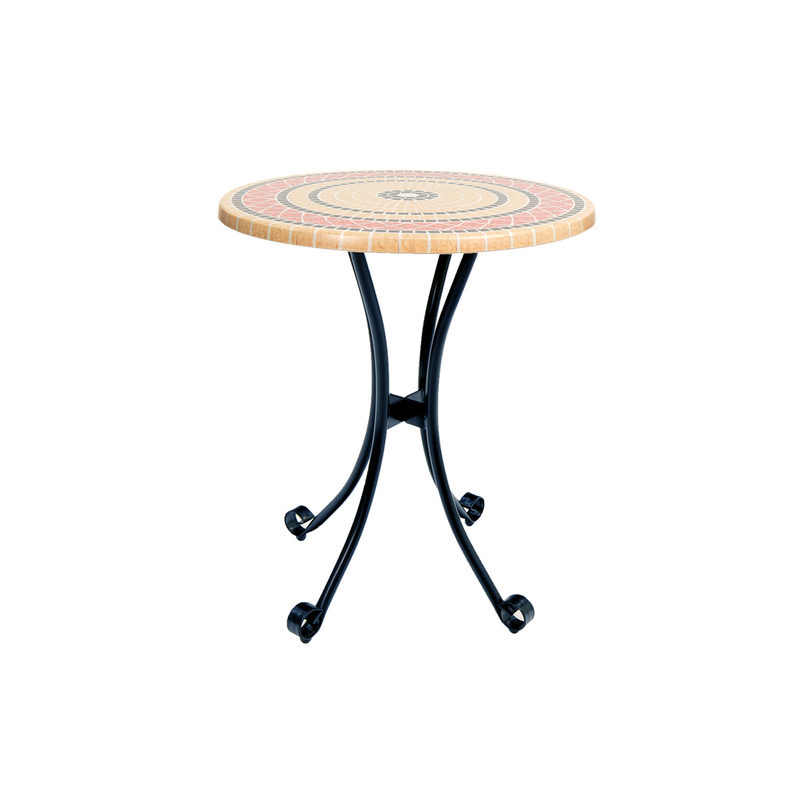 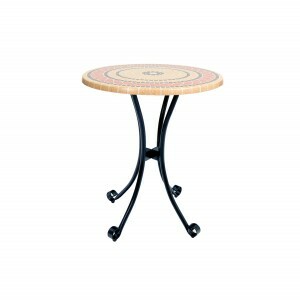 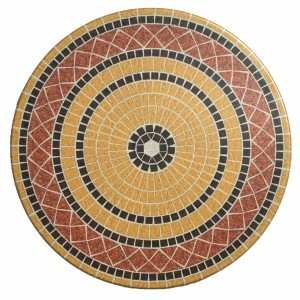 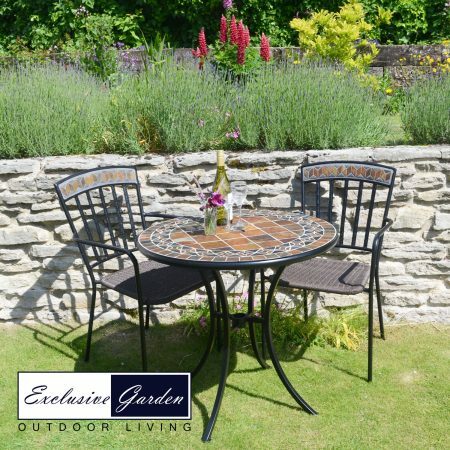 The Mataro table at 60cm is great for dining at as well as enjoying drinks only. 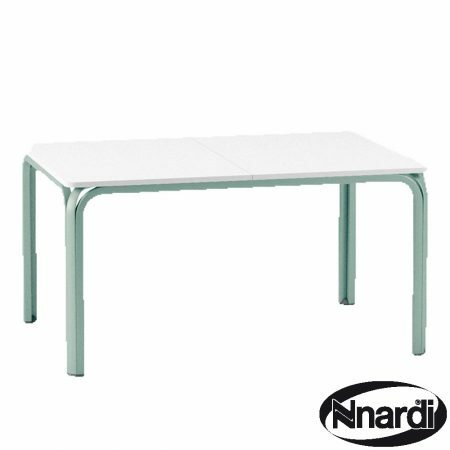 The construction is very strong but also lightweight making this table easy to move around. 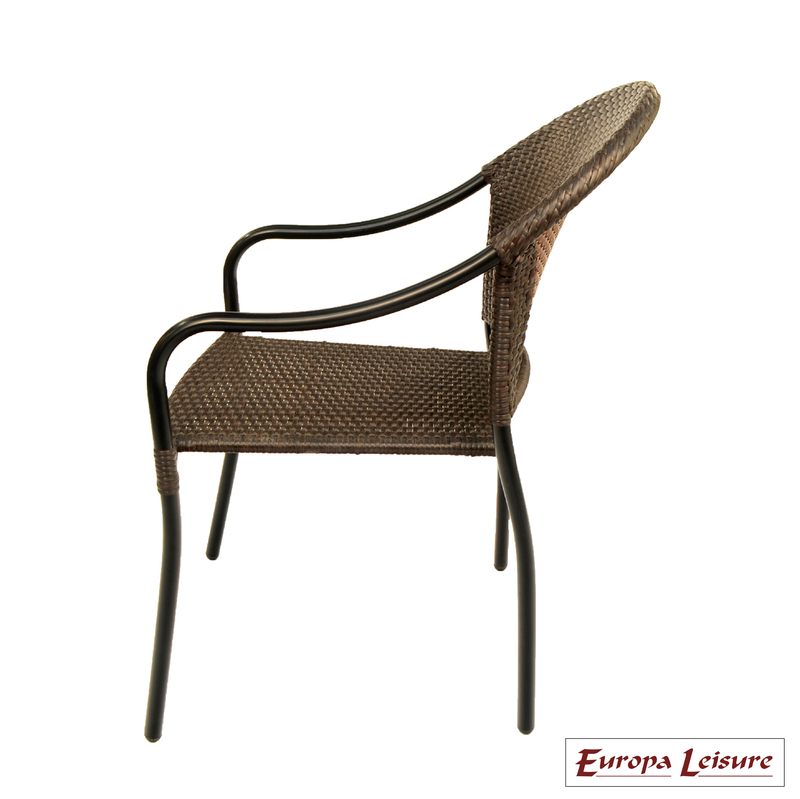 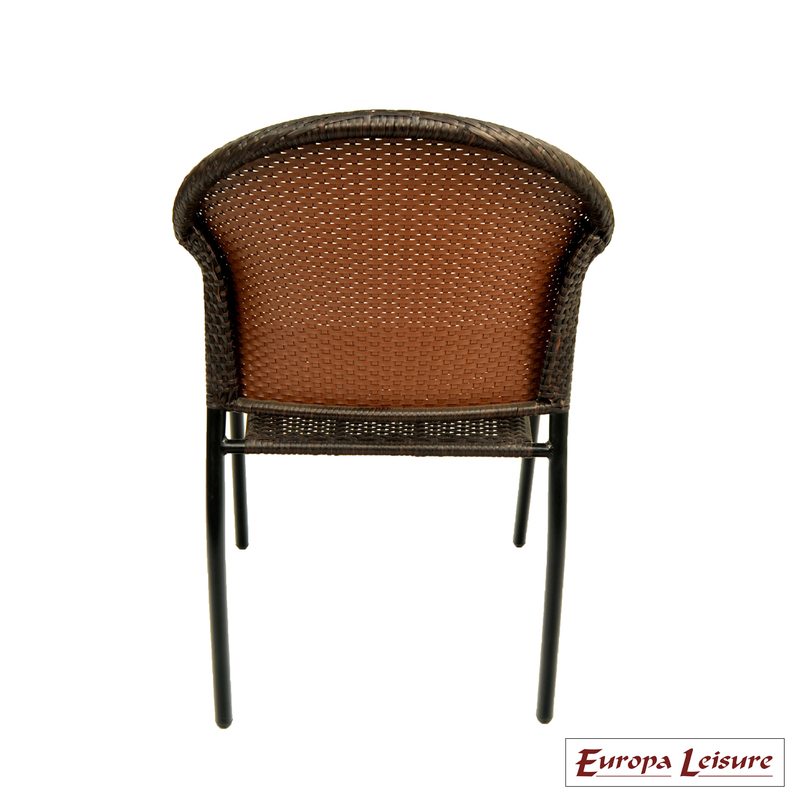 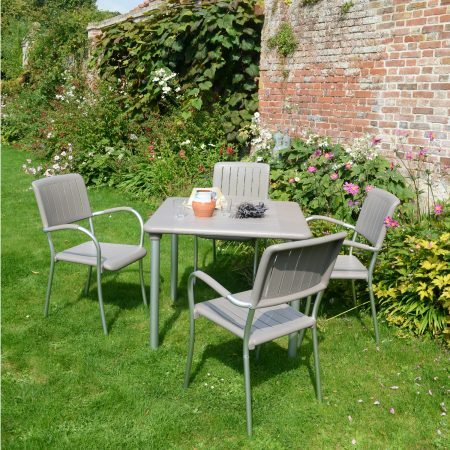 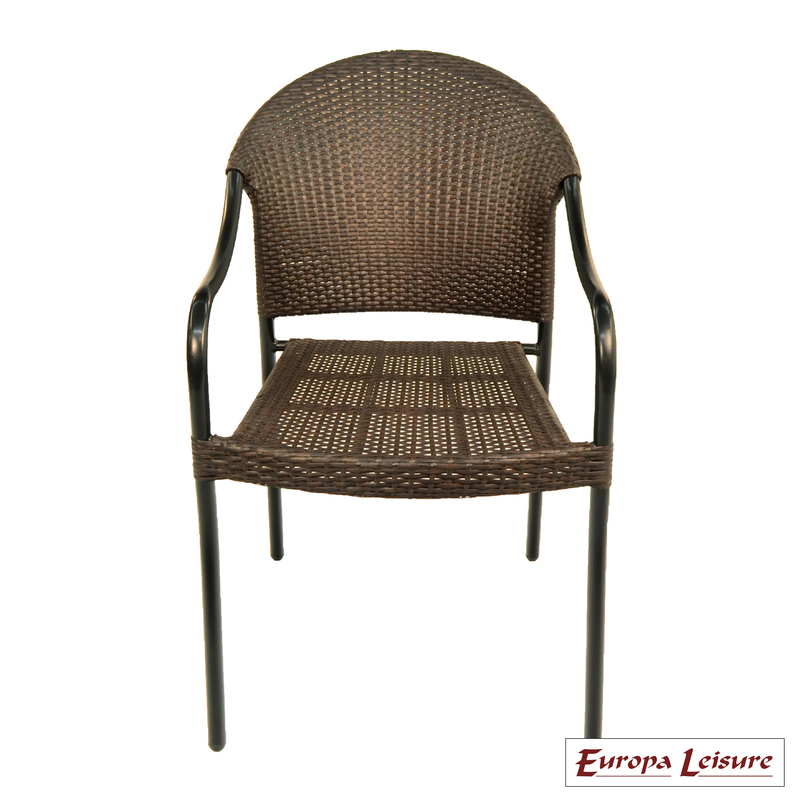 The San Tropez chair is stackable, weather resistant and the brown resin weave back and seat makes this a great little chair. 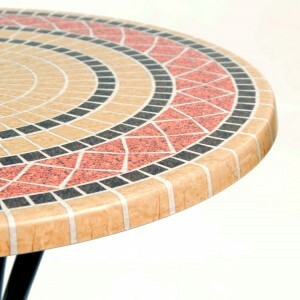 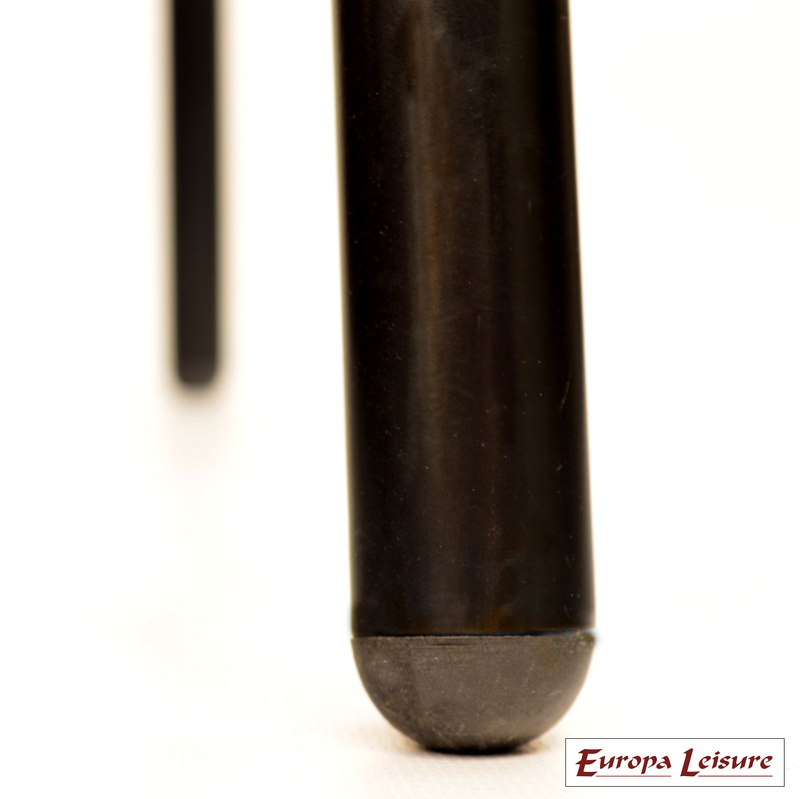 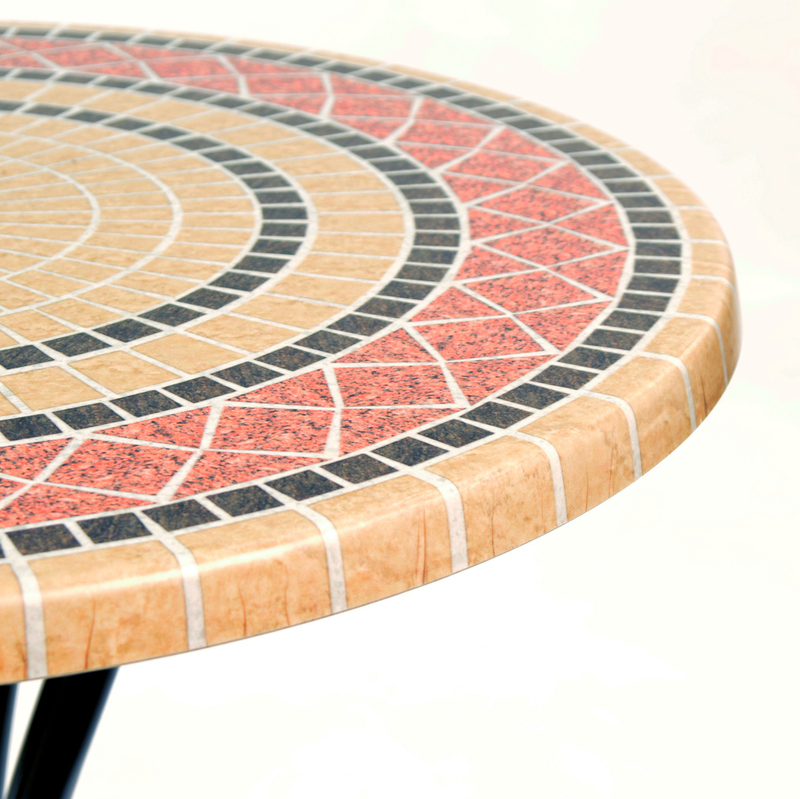 The Mataro table has a genuine Werzalit® tabletop from Germany. 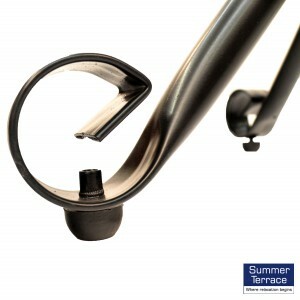 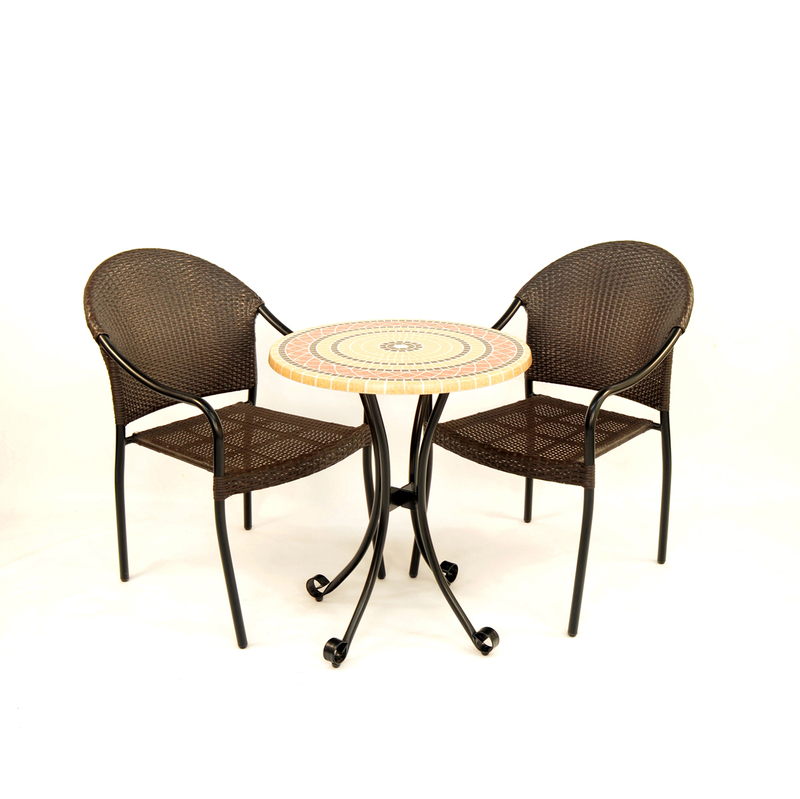 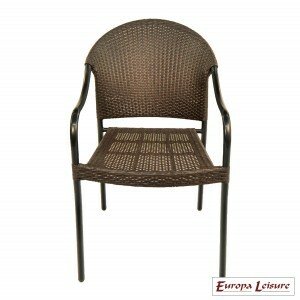 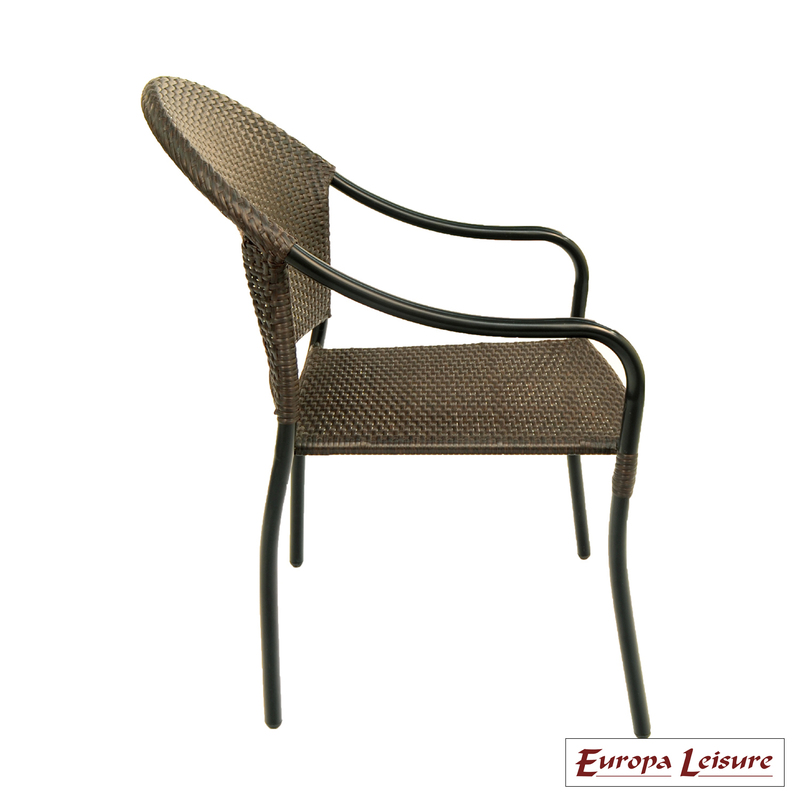 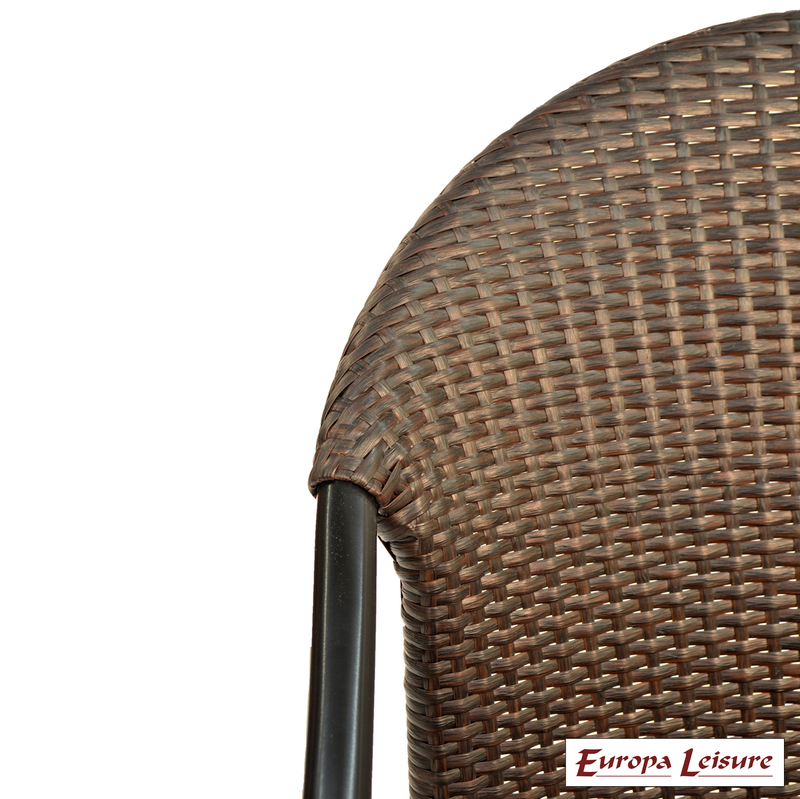 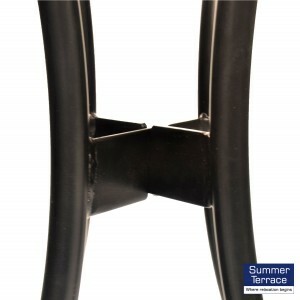 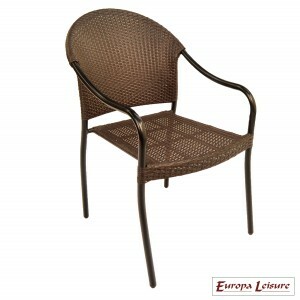 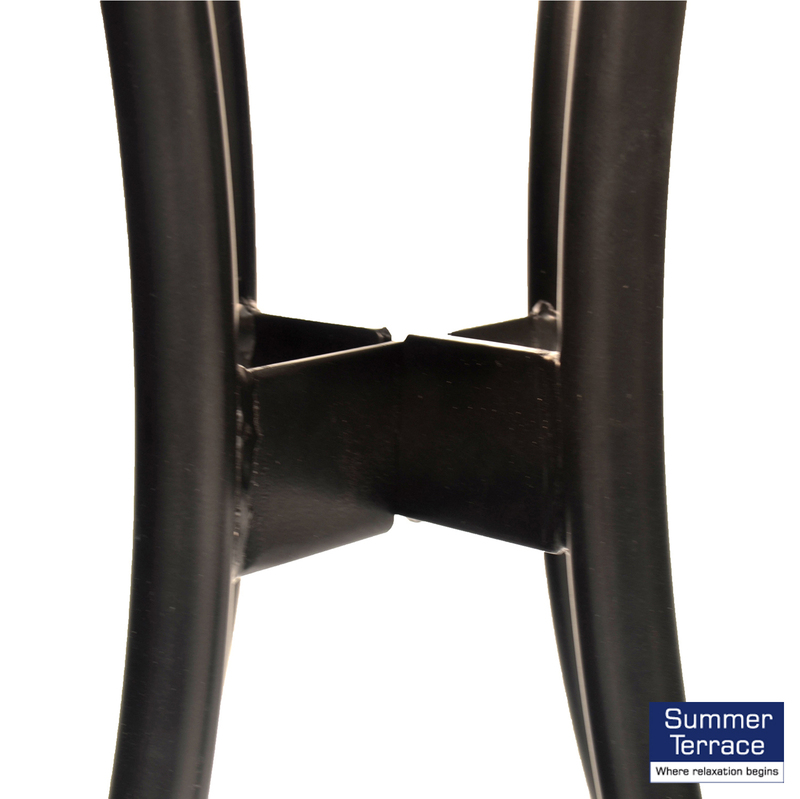 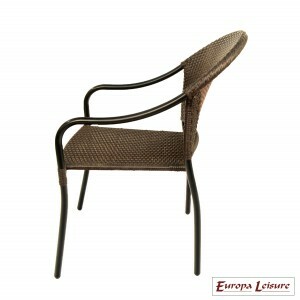 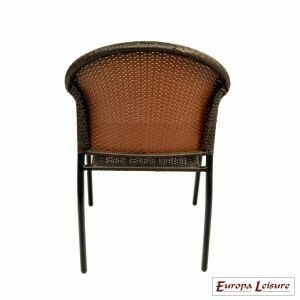 It is on attractive steel legs, finished in black, and is coupled it with the San Tropez stacking hand woven chair.